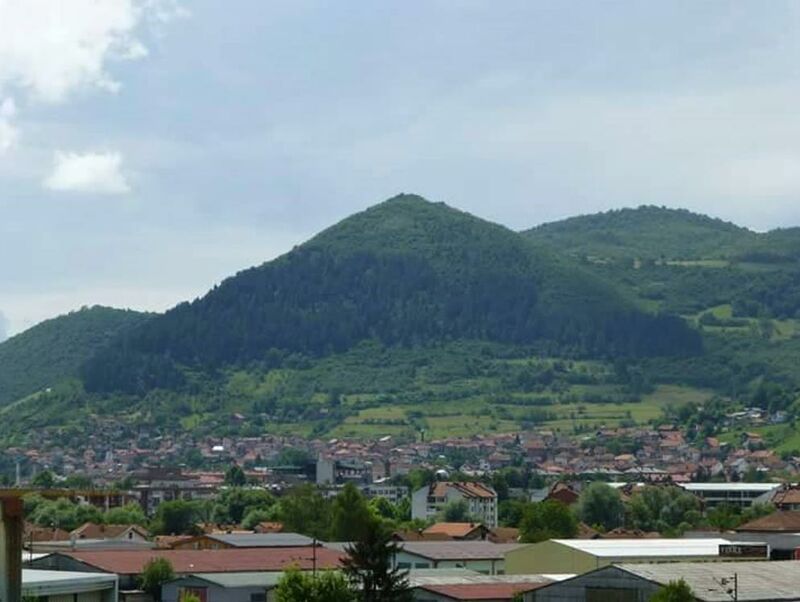 "The Bosnian pyramids are a pseudo-archaeological claim promoted by author Semir Osmanagić, that a cluster of natural hills in central Bosnia and Herzegovina are the largest human-made ancient pyramids on Earth. The hills are located near the town of Visoko, northwest of Sarajevo. Visočica hill, where the old town of Visoki was once sited, came to international attention in October 2005, following a news-media campaign by Osmanagić and his supporters. Osmanagić states that he has found tunnels, stone blocks and ancient mortar, which he has suggested once covered the Visočica structure. He opened excavations in 2006 which have reshaped the hill, making it look like a stepped pyramid. Geologists, archeologists and other scientists have however concluded, after analysis of the site, its known history, and the excavations, that the hills are natural formations known as flatirons and that there are no signs of human construction involved. The European Association of Archaeologists released a statement calling the pyramid hypothesis a "cruel hoax"."